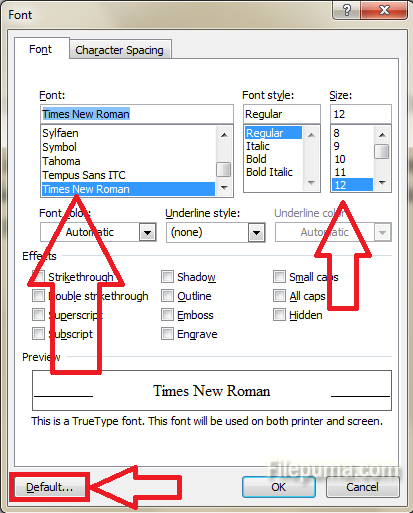 How to change the default font and font size in Microsoft Word 2007? Step 1: Click on the Font dialogue box button from the Font group in the Home tab. 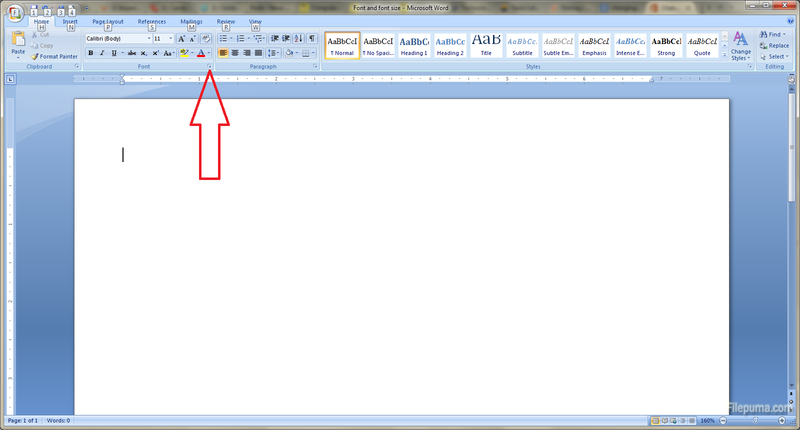 Step 2: Select the desired font and font size and then click on the Default button in the bottom left of the window. This will trigger a dialogue box where you will be asked if you want to change the default font characteristics for all the documents. YES is the answer you’re looking for.